MiGo makes it all possible. Consisting of a control and an app it allows you to control your heating and hot water needs from your smart phone wherever you are, whenever you want. MiGo will increase your comfort whilst decreasing your energy bills. MiGo will automatically learn your energy needs from the moment it's installed. It'll know to give you your desired temperature without delay, so when you ask for 21 degrees you'll get 21 degrees without waiting. MiGo has been exclusively engineered to work with our new and existing boilers. 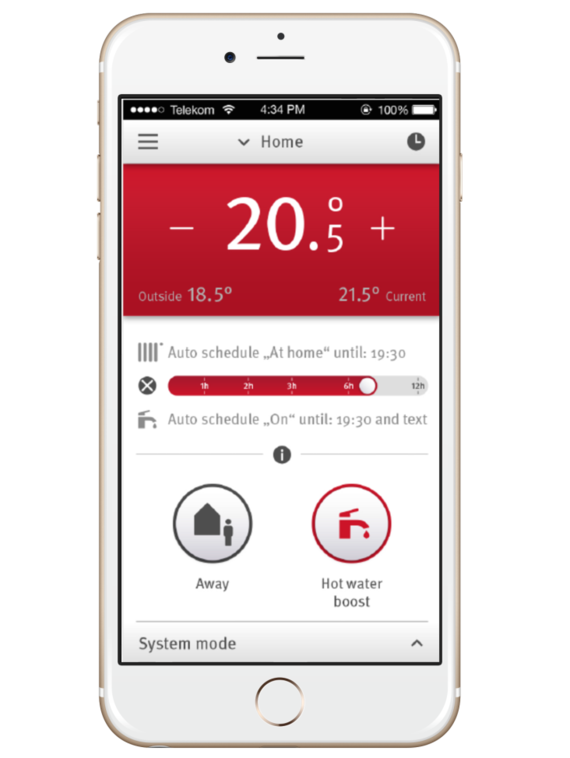 Using eBUS technology it'll communicate with your boiler to ensure you're only using the required amount of energy. You'll save more energy and money than with any other Wi-Fi enabled thermostat. MiGo only ever uses your energy as and when it needs to. It makes a calculation based on its location and the surrounding weather stations to obtain the outside temperature for your property, all without the need for a separate external temperature sensor. You and your family can manage several heating systems for the same or different locations. 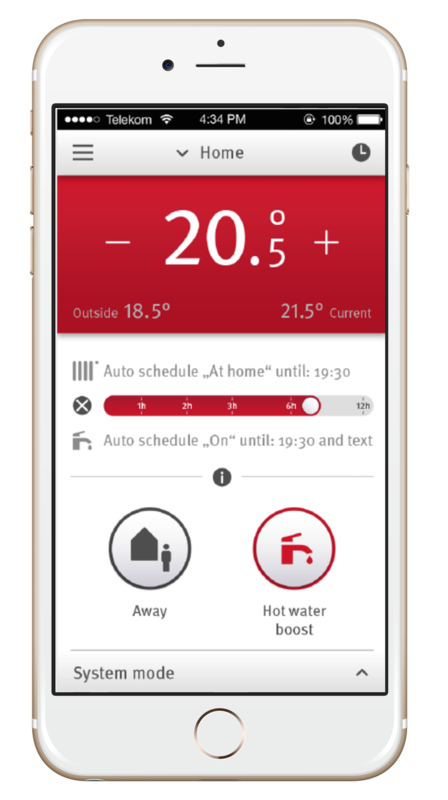 The access to MiGo can be shared on several smartphones; this means that all the family can control the heating system. One app can also manage several MiGo thermostats installed in different houses (e.g. your home and your mum’s home).